A minimum of 3 students must enroll. Registered students are entitled to 10% off all in-store purchases throughout the day of the class. Unless otherwise indicated, materials are NOT included in class costs. Cancellation must be at least 5 days prior to the date of the class in order to be refunded. Please be on time and prepared (ie have all materials needed, prep work done) for class. We respectfully ask that you silence your cell phone during instruction. This class will teach you how to construct a pair of fingerless mitts. This is a practical and fun knit, with lots of possibilities for variation in yarn weight and style. 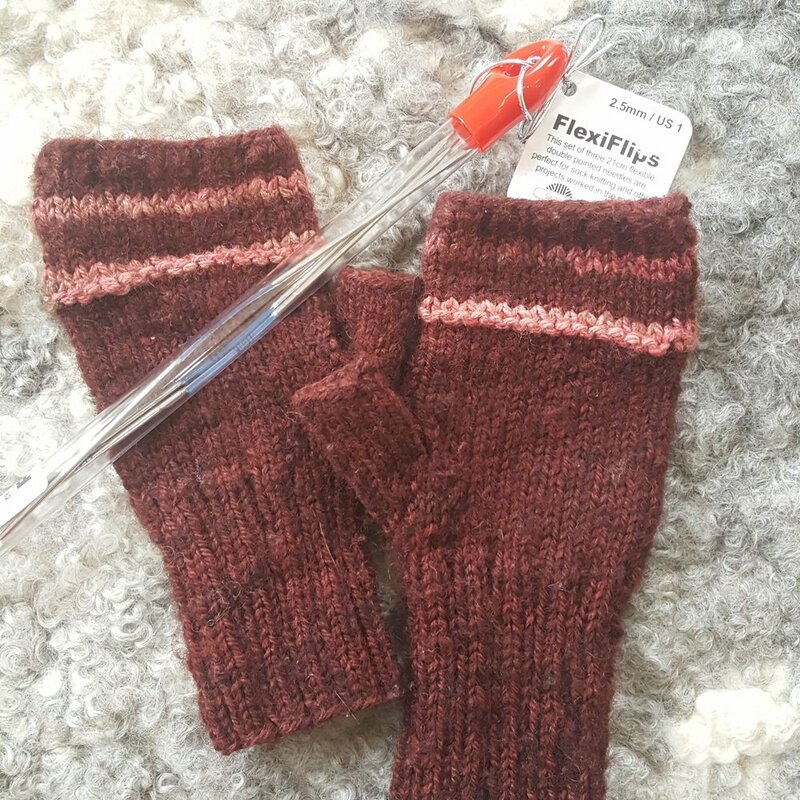 In this class you will learn how to construct a thumb gusset, size for individual fit, and select a great yarn for the job. Mitts make wonderful gifts, and can be used as stash busters, since they typically do not require a great deal of yarn. A pair of fingerless mitts from handspun yarn.